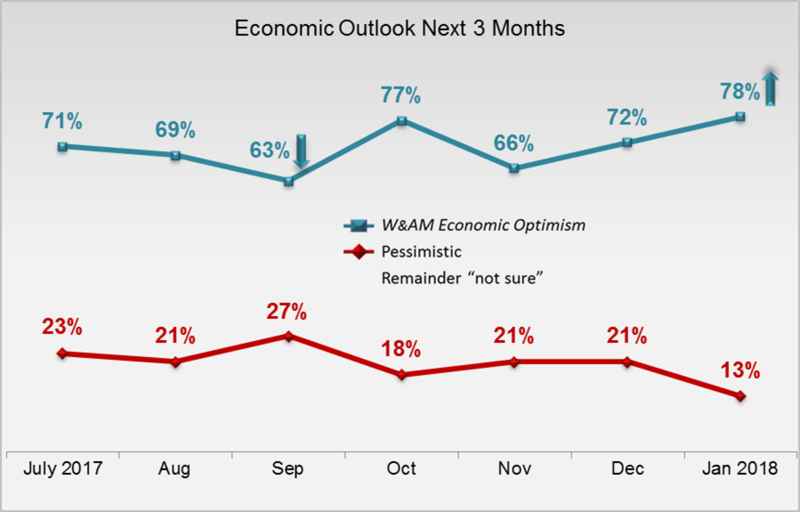 The W&AM Economic Optimism trend line increased six points to 78% among Mass Affluent, but declined slightly to 80% among HNW households. 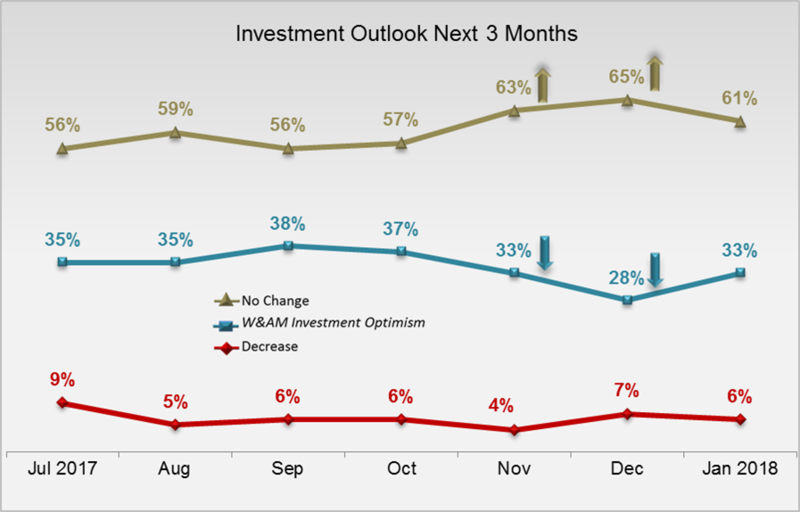 The W&AM Investment Optimism trend line reversed a three-period decline among Mass Affluent, climbing five points to 33%. 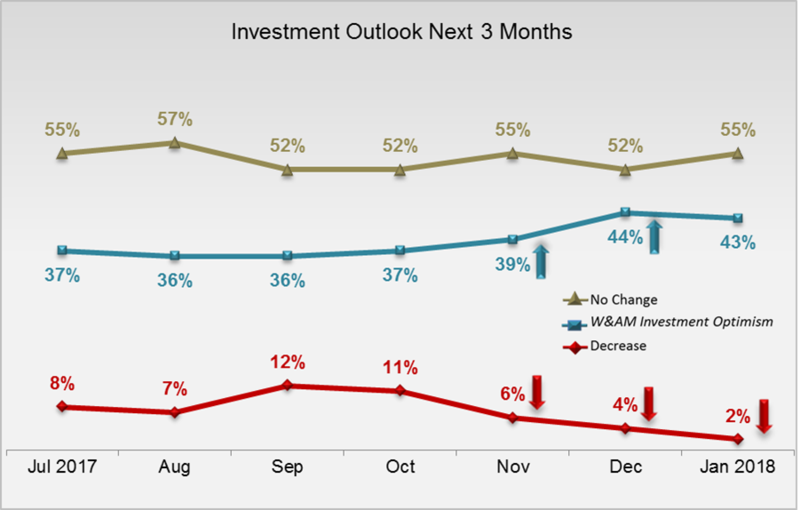 This trend line remained steady among HNW investors (down one point). 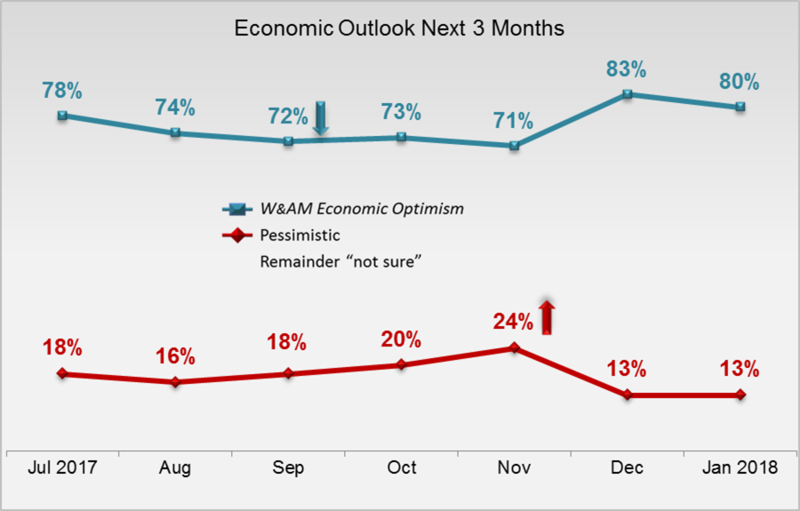 An unemployment rate hovering near a 17-year low, modest inflation, sturdy economic growth and stocks at an all-time high contributed to continued economic and investing optimism among investors in January.